Interaction Design, also know as User Experience Design has become a buzz word in the tech industry and startups. What is Interaction Design? What does it mean to be an Interaction Designer or a UX PM? Amy was born in Hong Kong and has been working in the field of User Experience for more than 18 years in Hong Kong, US and China. She is going to share her story on how she became an Interaction Designer, and how she faces the challenges when designing global products. Recently, her team has launched a mobile game call Monster Castle and was featured by Apple and Google App Store; Amy will share with you some insider story on how her startup team prepare themselves to launch globally in 15 different languages. Amy is the Senior Director of Global Publishing Centre at Tencent, she is now leading a multi-cultural team in ShenZhen to provide design and localisation support to help publish mobile games globally. Previously she was the Design Director of User Experience team of Social Network Group, and she was leading a team of a 100 members supporting the design of Qzone, QQ VIP service, Tencent Cloud services. As a hiring manager, she is going to share some tips on how you should prepare yourself for the industry. Amy Ip has recently joined Global Publishing Centre at Tencent Games as Senior Director in July 2015; as a core member of the team she helps setting up the ground work of service design to provide design localisation support, player services, and collect users feedback and design online events to increase user engagements. She was the Design Director / Design Expert at Internet Services User Experience(ISUX) Department of Social Networking Group from 2011-15 at Tencent. She was the Head of Social Network Platform Design Center and Cloud Platform Design Center; products she had managed included Qzone, Tencent Cloud, Weiyun, QQ Show, QQ VIP Services and etc. Prior joining Tencent, Amy was a Senior User Experience Designer in Microsoft at Redmond, USA; she has participated in various communication and social networking projects including Lync, Windows Live Messenger and Spaces. Amy was also the first Interaction Designer hired at Yahoo! Hong Kong in 2003; she had helped integrating User Experience Design in the development process for Hong Kong and was one of the UX advocates at the Asian offices. She was dedicated in developing design tools and repository to help teams work more efficiently; she had initiated the Pattern Library for Chinese language region during her stay at Yahoo!. Amy is an Interaction Designer with a background in Information and Decision Systems with Business concentration ; she had received a Master Degree in Interaction Design from Carnegie Mellon University, USA. She loves to travel and have a strong interests in studying cultural impacts on communication and design. She has been guest speaker at various universities including Beijing University, Hong Kong University SPACE, Hong Kong Polytechnic University and Chinese University. In the past she had participated in various industry events including hosting workshops at IXDC, panel speaker at ICID Conference, and she was also on the judge panel of Interaction Award at IXDA 2015. She is now a guest lecturer at Hong Kong University SPACE program. Prof. Tsu-Jae King Liu will share with us in this informal setting her insight on how to attract and recruit women faculty. Prof Tsu-Jae King Liu received her BS, MS and PhD in Electrical Engineering from Stanford University. From 1992 to 1996, she was a Member of Research Staff at the Xerox Palo Alto Research Center. 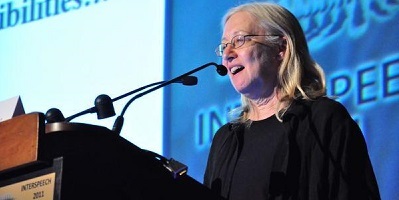 In 1996, she joined the faculty of the University of California at Berkeley, where she is currently the TSMC Distinguished Professor in Microelectronics, and Chair of the Department of Electrical Engineering and Computer Sciences. 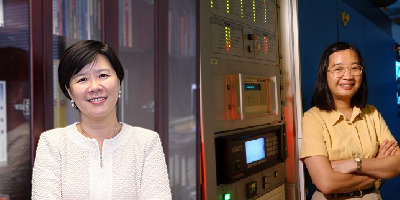 Prof Liu's research activities are presently in advanced materials, process technology and devices for energy-efficient electronics.Her research awards include the Defense Advanced Research Projects Agency (DARPA) Significant Technical Achievement Award for development of the FinFET, the Institute of Electrical and Electronics Engineers (IEEE) Kiyo Tomiyasu Award for contributions to nanoscale MOS transistors, memory devices, and Micro Electro Mechanical Systems (MEMs) devices, the Intel Outstanding Researcher in Nanotechnology Award, and the Semiconductor Industry Association Outstanding Researcher Award. She has authored or co-authored close to 500 publications and holds over 90 US patents, and is a Fellow of the IEEE. Encouraging diversity in research labs and in academia can be challenging but also quite rewarding for the institutions themselves. I will describe diversity efforts I have participated in at Bell Labs, AT&T Labs, and Columbia, the obstacles we had to overcome, and the successes and failures we experienced. I will conclude by discussing the lessons we learned and the differences I have observed in working for diversity in research labs and in academia. 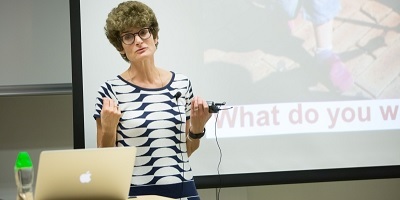 Prof Julia Hirschberg received her PhD in Computer and Information Science from the University of Pennsylvania in 1985, after previously doing a PhD in sixteenth-century Mexican social history at the University of Michigan in 1976 and teaching history at Smith College. She was a Member of Technical Staff, Department Head, and Technology Leader at Bell Laboratories and AT&T Laboratories, creating the Human-Computer Interface Research Department at Bell Labs. She joined Columbia University in 2002 and is currently Professor of Computer Science. Prof Hirschberg’s research interests focus on computational linguistics/natural-language processing. She served as editor-in-chief of Computational Linguistics and of Speech Communication and is now on the Editorial Board. She was on the Executive Board of the Association for Computational Linguistics (ACL) from 1993-2003, has been on the Permanent Council of International Conference on Spoken Language Processing since 1996, and served on the board of the International Speech Communication Association (ISCA) from 1999-2007 (as President 2005-2007). She is on the board of the Computer Research Association's Committee on the Status of Women in Computing Research and has been active in working for diversity at AT&T and at Columbia. Prof Hirschberg has been a Fellow of the American Association for Artificial Intelligence since 1994, an ISCA Fellow since 2008, and is a founding Fellow of the ACL since 2011. She received numerous awards including the James L. Flanagan Speech and Audio Processing Award from Institute of Electrical and Electronics Engineers in 2011, the ISCA Medal for Scientific Achievement and the IBM Faculty Awards, etc. Beginning in the mid-1960s-early 1970s, significant numbers of women students in the US began to major in math and science in college and then to obtain PhDs in these fields. People assumed it was only a question of time before these women would rise to be professors on the science faculties of America’s research universities. But this did not happen nearly as quickly as expected. In 1995, MIT appointed a committee of women faculty in Science to analyze barriers to women’s advancement. A summary of the findings was made public in 1999 and came to be known as ‘The MIT Report.’ This Report led to many administrative changes at MIT and other universities. I will describe barriers to women’s advancement that were identified, how MIT addressed them administratively, and progress for women faculty in Science and Engineering that resulted. I will also explain why, despite enormous progress, effort will be needed for at least another decade to achieve equity and parity for women faculty in science and engineering in the US. Nancy Hopkins is the Amgen, Inc. Professor of Biology at the Massachusetts Institute of Technology. She is a member of the National Academy of Sciences, the Institute of Medicine of the National Academy, and the American Academy of Arts and Sciences. She obtained a PhD from Harvard working on phage lambda with Mark Ptashne. She was a postdoctoral fellow with James D Watson and Robert Pollack at the Cold Spring Harbor lab where she worked on DNA tumor viruses. She joined the MIT faculty in 1973. She worked on RNA tumor viruses, identifying genes for host range and leukemogenicity, and then switched fields to work on zebrafish. Her lab developed insertional mutagenesis for the fish and identified many genes involved in development and disease, including cancer. 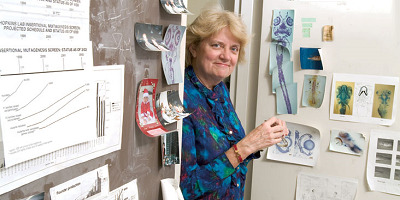 In 1995 she chaired a committee at MIT that studied the status and under-representation of women faculty in science and issued a public report in 1999. She joined the MIT administration and worked with the President and Provost to address issues identified in the report. The Theme-based Research Scheme is a very competitive and highly selective funding exercise. A sharing session with Prof. Nancy Ip and Prof. Kei May Lau, project co-ordinators of the two awarded projects, will be held on 7 September 2012. During the Sharing Session, Prof. Ip and Prof. Lau will share with you their experience in getting the grants – from the proposal development and idea incubation to the team building and proposal submission. Launched in 2010 by the Research Grants Council (RGC), the Theme-based Research Scheme (TBRS) aims to focus academic research efforts of the UGC-funded institutions on themes of strategic important to the long-term development of Hong Kong. The current themes are: (1) Promoting Good Health, (2) Developing a Sustainable Environment, and (3) Enhancing Hong Kong’s Strategic Position as a Regional and International Business Centre. HKUST has done exceptionally well in the second round of the TBRS this year. In the second round exercise, the RGC received 46 preliminary proposals and 17 of them were shortlisted for submission of full proposal. Among them, 12 were invited for selection interviews. Finally, five of them in the three different themes were awarded for funding. 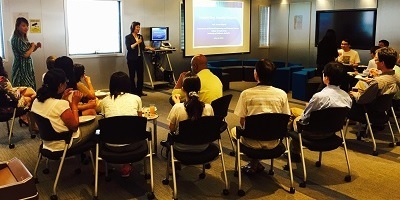 Among the five projects awarded for funding, two projects are coordinated by HKUST faculty. The two projects have been secured a total amount of HK$91.404 million over a period of 5 years, representing 45% of the total funds in this round of the scheme. Marjorie Yang credits her success in global business to her progressive style of management that embraces diversity in human resources and with that, creative strategies and innovative technologies. She will tell us about her own experiences and the role models that groomed her for leadership. She will share her vision for the role of education institutions in transforming the society. Marjorie Yang Mun Tak is Chairman of the textile giant Esquel Group. Under her leadership the company has adopted progressive management philosophies along a dynamic, vertically integrated value chain from cotton to garments with operations in various parts of the world. Equally important, she has placed huge emphasis on a corporate culture that embraces cultural diversity and gender equality, promotes ethical business practices, social and environmental responsibility and cares for the employees and their families. She was named by FORTUNE as among the Top 50 Most Powerful Women in Business in 2009, 2005, 2004 and 2000. Marjorie Yang is a Non-official Member of the Executive Council of the Hong Kong Special Administrative Region. She is a member of the National Committee of the Chinese People's Political Consultative Conference. She currently serves on the boards of Novartis, Swire Pacific Limited, and The Hong Kong and Shanghai Banking Corporation Limited (HSBC). 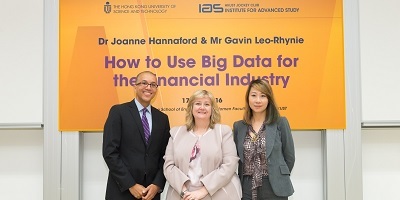 She was recently appointed as Chairman of the Council of the Hong Kong Polytechnic University. Ms. Yang is a member of the MIT Corporation. She also serves on the advisory boards of Harvard Business School and Tsinghua School of Economics and Management. Ms. Yang graduated with a bachelor's degree in mathematics from MIT and holds a master's degree from Harvard Business School. From 1976 to 1978, she was an associate in Corporate Finance, Mergers and Acquisitions with the First Boston Corporation in New York. In 1979, she returned to Hong Kong and became a founding member of Esquel Group. She was appointed Chairman of the Group in 1995.